Our Multi-level Judaic studies program ensures each student is appropriately challenged and engaged. 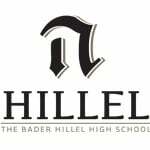 At Bader Hillel High we pride ourselves on our individualized, hands-on contemporary approach to learning, and that doesn’t stop with our Judaic studies. Our program includes three separate Gemara tracks which ensure the best fit for each student while appropriately preparing them for their future endeavors. Includes a background of the Mishna, a layout of the orders of the Mishna, and a beginners level masechta taught with the aid of worksheets and resource material. Includes a more integrated Mishna class incorporating the text of a Mishnayos with assistance provided in the skill of punctuating a mishna. Utilizes Summary worksheets. Utilizes a classic layout and incorporates Bartenura selections. An in-text learning that incorporates all Bartenura selections and maintains a good rate of progress with intent to finish several masechtes. An out-of-text course that gives the student an introduction into the processes and methodology of Talmud Bavli. Uses a popular course material framed on subject matter. Inside study that utilizes phrase-by-phrase workbooks, online courses and guided in-text review. Flashcards 1. Inside text only, aided translate and punctuation. Focus on student’s analytical ability. Uses Rashi, select Tosfos and supplied commentary. Student is taught to narrate the Gemara’s point independently. · Introduction into central topics in Shas. An exploration of the weekly sedra through an historical lens, glossing over the content to gain a familiarity with the bible narrative. Utilizes Hebrew/ English text and recorded archive lessons. A Torah study beginning with Parsha Bereishis, and some basic select commentaries added. The focus is to go straight through as much of the Torah as possible, with individual study as the basis. Utilizes Hebrew/English texts, summary materials, and segmented quizzes. A glossing study of the early prophets. Enables the student to have a general knowledge of large portions of Tanach; including its people, places and major events. Basic commentary added to enable simple contextual understanding. Quizzes every few chapters. Advanced Tanach study that incorporates selections of Latter Neviim as well as select Kesuvim and Megillas. Focus is added on a study of commentaries enabling the student to understand the interpretations of the text. · Knowledge base of major prophecies and events in the later period of Neviim and the Megillas. Explores and researches major Jewish figures throughout history. Utilizes select essays and recordings. Overview of Jewish history through the end of the second temple. Uses contemporary historical texts and timelines. Overview of Jewish history from the Diaspora through the end of the Rishonim. Uses contemporary historical texts and timelines. Overview of Jewish history from the Acharonim Era through the present. Uses contemporary historical texts and timelines. Incorporates opening chapters of Kitzur Shulchan Aruch and select topics from other sources. Incorporates Kitzur Shulchan Aruch and select topics pertaining to Jewish living. Laws of blessings and laws of Shabbas in depth. Using traditional texts of Shulchan Aruch Harav and Birchas Hanehnin. Reviews are achieved with materials gleaned from contemporary works. Laws of Kosher and Issur V’Heter explored in the texts of Shulchan Aruch and select responsa. Introduction to Chassidus, which includes its history and personalities. Select readings and recordings analyzed through the lens of Chassidus. Selected Chassidic essays read and analyzed. Partner-based study and classroom reviews. Incorporates intermediate level Chassidic discourses. Utilizes translated material. Partner-based study, which includes some non-translated material.